This book addresses the issue of societal transformation “from male to female dominance” drawing on a range of statistical sources, publications, and anecdotal experiences, plus eight stories “from a woman’s heart.” None of the men Jack Myers approached to talk about their future felt they could contribute (“You mean we have a future”), though one story of a man’s experience is contributed by his mother. While purporting to address the alleged decline in male dominance globally the dominant flavor is of Middle America, and he strays beyond those boundaries at his peril “Asia, particularly in the southeast, is well known for its strong (and potentially disastrous) cultural preferences for men over women.” Perhaps he is referring to India and the recent well-publicized incidents of violence against women, but he does not say so, and India is not in southeast Asia where, on the contrary, by all measures some of the most non-patriarchal societies are located. Several chapters close with helpful hints for men in coping with their new reality (e.g. 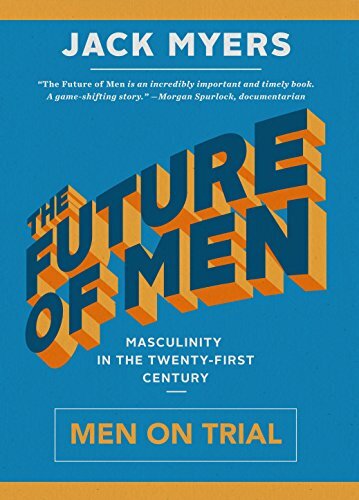 from Chapter 21 How Men Can Adapt to a New World—Try everything you can first, Know when to stop trying, and Think about potential solutions before you ask for assistance) and indeed the book appears to have been hastily pulled together from lectures and presentations to motivational workshops and similar events. This may account for the repetition and inconsistencies across chapters. Myers covers changing “gender dominance” in the home, in education, in the workplace, in politics, and in the way in which media are reflecting or leading changing attitudes and behaviours. Only in education is there hard evidence of women’s “dominance” in terms of numbers and achievements, though this is not reflected in their success in the workplace at any level and in any domain. In fact we learn that men do not bother with higher education as they wish to avoid student debt but are still able to drop into the jobs they want. Is this a reflection of women’s growing dominance in the workplace? Even the strongest chapters, relating to media and its effects, do not support his basic thesis that the balance of power has changed or is anywhere near changing in some key fields such as political leadership. Perhaps he sees the line-up of candidates for the presidential election as illustrative of the degradation of the Y chromosome? But this is mere speculation. So often is Myers tripped up by his own testimony that one wonders which side he is on and whether the whole book is indeed an extended spoof. For example we have a woman multitasking, a skill which men who want to cope with their reduced status are recommended to practice; “if a woman can work on her smartphone, process a document, and acknowledge a customer all at the same time she might be a better candidate than a man for several roles in a company;” but none of them leadership roles, or so it would appear? This is hardly Sheryl Sandberg’s Leaning In territory. He should perhaps consider that women would prefer not to have to multitask, and that men could only multitask if they actually had more than one thing to do. Myers has chosen a very interesting and indeed critical topic for discussion, but neither the data he presents nor its analysis is equal to the task. As he is a prolific producer of books he may have the opportunity to address the same topic again in his next book, taking a much more limited canvas, addressing the issues in more depth, and giving due recognition to the existing body of work on the topic of men and masculinities. He should try to avoid giving the impression that dominance by women will replace or has already replaced dominance by men and speak rather of balance and gender equality. Crucially, he should include some stories “from a man’s heart” other than his own.